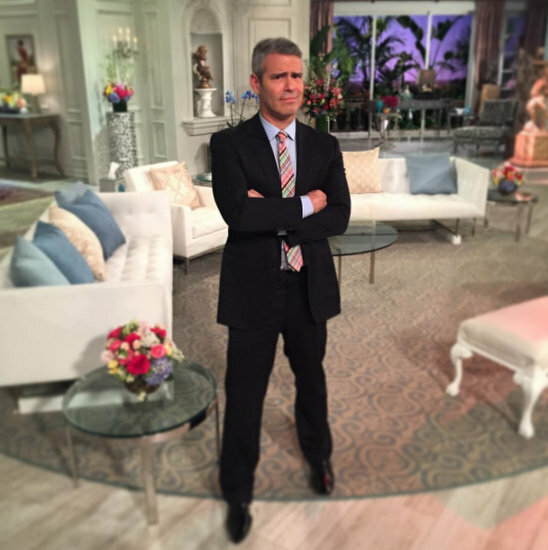 “Everyone needs to take responsibility for their own actions #rhobh,” Kyle added. 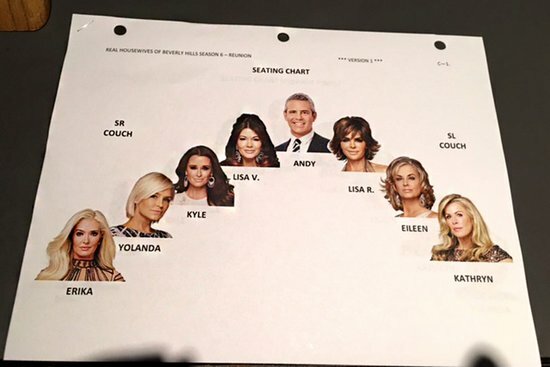 It’s clear from the seating chart that the biggest blowout is expected to be between the two Lisas, although I’m surprised to see Yolanda second from the end considering what an enormous storyline Lyme became this season! To me it seems pretty obvious, that after hiding her divorce drama and skipping a vast-majority of filming (or spending it in a natty bathrobe) by waving the ‘I’m SICK!’ flag, this will be Yolanda’s final season. Andy was giving her major side-eye during her recent WWHL sit-down and that Dr. Oz disaster was, just that: A disaster! Some friendships remained intact. After filming wrapped Kyle celebrated with LVP and Kathryn at PUMP. I presume Lipsa and Eileen are still BFF. I hope, anyway. TELL US – ARE YOU SURPRISED BY THE SEATING CHART? WHO DO YOU THINK HAD THE MOST DRAMA?